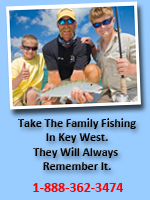 Join an experienced guide on a tour around the island of Key West. See sights on this tour that you can only see from the water including the sub pits, gorgeous mangrove islands, and sea-life. You’ll also have the opportunity to play around on your own for awhile to feel the exhilaration of speed on the water. Tours last approximately 1.5 hours. Must be at least 18 to drive alone. Another exciting way to spend your day riding wave runners is by going out on the Sunset Water Sports Island party. Here you can play with Wave Runners all day long right off Key West with a myriad of other activities such as water skiing, banana boat rides, tube rides, sailing, snorkeling, rock climbing, drinking and having fun. Check out the Key West Island Party and yo will see that it is the best deal in Key West. Each wave runner can carry up to two persons for no additional charge.